Once upon a time, I only knew Chanel was a luxury company from France that every girl would have dreamed of having their iconic Chanel 2.55 bag, the Chanel suit, the little black dress or the No.5 perfume. My impression of this brand remained unchanged until my 22nd birthday. 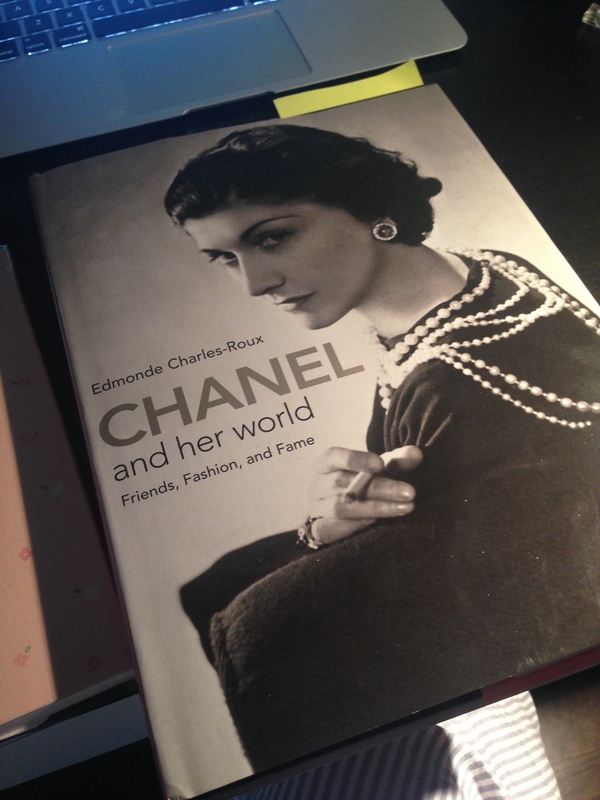 Once upon a time, one of my dear friend from Hong Kong bought me this book about Chanel and left me a quote on the birthday card. “If you try hard enough, you will be a legend one day. Happy Birthday!” he wrote. I have never received a book for birthday present, especially a biography. I imagined about Coco Chanel’s life when was staring at the cover. Coco Chanel looks so elegant and poised that she probably was born in a noble family. She must been an affluent lady who suddenly sparked interest in fashion. My mom told me that you can never judge other people by their appearance and she was right on this one. Coco Chanel’s real life story overturned my imagination. Gabrielle Bonheur Channel was born in Saumur, France in 1883. When she was 12 years old, her mother passed away because of bronchitis. The second day of her mother’s death, she was abandoned by her father. Gabrielle Chanel was raise by nuns in orphanage, from there she learned how to sew. That was foreshadowing her fate in fashion. Coco Chanel never followed trends. She was brave enough to challenge the traditional dress code of women in that time period and made short skirts possible. She was a lady who took the elements of man’s attire and blended them into woman’s fashion. She liberated women in France and brought a fashion revolution to the world. Chanel, the brand, can never set apart from Coco Chanel. 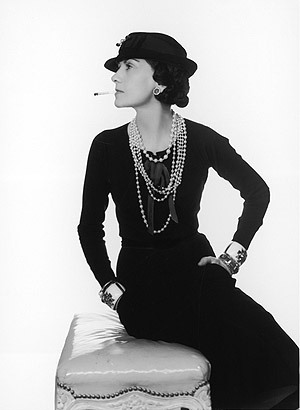 Coco Chanel was the brand and the brand represented her spirit and characteristics. I never felt the same about Chanel after knowing the story behind it. Every handbag and every piece of jewelry had incorporated with Coco Chanel’s story. I love the brand Chanel even more now, not just because of the story behind it, but also because of my desire to be a women like Coco Chanel. She had always been different, her personality, her dark childhood, her love life and her iconic designs. A glamorous brand, built by Gabrielle Chanel, has continued to shine after 43 years of her death. If there is anything I wish to see, it would be a interactive story page on their website. A “secrets of Chanel’s design” page illustrate why Chanel had designed things in a certain way. One of the example would be Coco designed the inner pocket of classic 2.55 bag to hide love letters from her admirers. Hello Everyone (Thank you for being my very first few readers) and welcome Professor Tombrakos! I was asked to create a blog from my digital marketing class at NYU. My first reaction was “what? Write a blog?” It has been almost 5 years that I left my beloved blog untouched. I almost forget how to write a blog. I don’t know what to write and how to write it. My second reaction was “Really?” I started to think back in the days when I enjoyed so much in writing stories and sharing photos with friends. My third reaction was “Sounds good, let’s do it!” Before last semester ends, one of my most admired professor told me to create my own identity in the digital world. I haven’t got a chance to do that. This is the world full of information. Articles are like drops of water and the digital world is just a boundless ocean. I want to throw a rock into the ocean as long as I can make a sound. 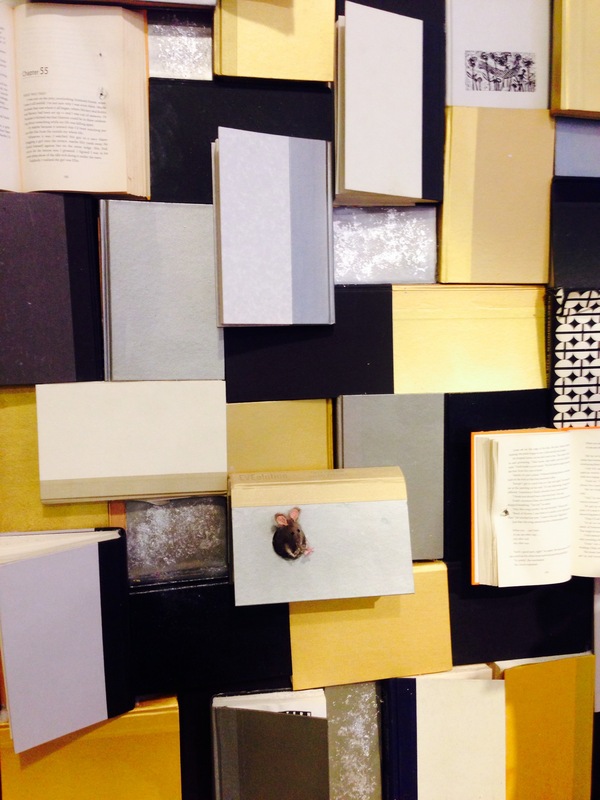 Yes, just like that poor little mouse in stacks of books. Unless you dig a hole and stick your head out, the world wouldn’t know you are there. So here I am to start digging that hole. Searching my own name on Google almost become my new habit. Surprisingly, I found that not many people have the same name as me and my Facebook page is always on the top of the page. I am still not satisfied. So I decided to turn my blog into another Google search result. I want to write. I want to Share. I love all kinds of beautiful things. I love traveling, shopping, eating, watching TV commercials, talking to strangers, checking the newest cars. Marketing Adventurer will be my dearest friend, and I will share every little excitement in life with her.I want to use this blog as a platform to show people who I am and why I am special. This blog will also be used to fulfill the homework requirement of my exciting digital marketing class. Homework requirement sounds boring? I will try my best to make it interesting and readible. SO WELCOME to Marketing Adventurer ! Beldent gum has done a interesting experiment on “chewing gum”. The company conducted a experiment at the Museum of Contemporary Art in Buenos Aires. Several pairs of identical twins were shown in the art installation with one difference. One of them is chewing gum and the other is not. Visitors had to answer questions base on the twin’s appearance, such as ” Which one is invited to more parties?”, “Which one is a better boss” and “Which one is more likely to give you a raise?”. The one chewing gum is perceived to be nicer, happier, and more popular person. Chewing gum really does make someone look better. This experiment is in a form of art yet very powerful. It digs deep into the social stigma(chewing gum make someone look bad/in-respectful) and show us the truth. Beldent has done an excellent job telling the truth. More gum for me in the future, you? Months ago, I read this story on the news paper. The old lady sits on the platform bench in a London subway station day after day, just to hear her husband’s voice “mind the gap”. One day, she find out London subway system has changed the “mind the gap” announcement. Her wish to hear her husband’s voice again has touched many people’s heart and prompted the London subway system to restore a 40 years old recording. Kington, the technology company, turns this story into a touching Ad. This advertisement is touching and effective. After I watched this ad, I will never forget that golden Kingston flash drive in the old lady’s hand. It naturally blends the real story with Kingston’s brand. This ad touches on the product benefits and emotional benefits of the brand. It was so smart for them to catch this story and turn it into a successful brand advertisement. Memory is timeless. Time really has a way to make things slip away,but our heart and technology can help us remember every moment of our life. Everyday, every minute, every second make up our memory. Start to appreciate things you have, the ones who loves you and ones you love. Say yes to your life and open for something new to happen. Enjoy this Ad! Happy thanksgiving!